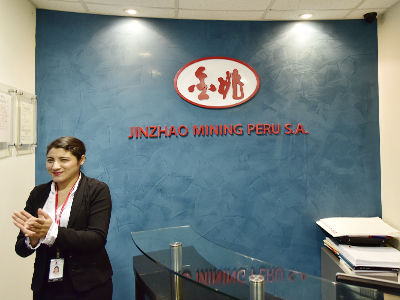 Its gold, copper, cobalt and iron polymetallic deposit in Pongo, Peru controls a mine lot of 263 square kilometers and owns 39 mineral rights, with a possible ore of 10 billion tons of iron, 11 million tons of copper, 750 tons of gold, 87,000 tons of silver, 1.04 million tons of cobalt and 400 tons of rhenium. At present, 15 mineral rights have proved resource reserves of 3.8 billion tons of iron, 3.66 million tons of copper, 215 tons of gold, 29,000 tons of silver and 206,000 tons of cobalt. There are also many rare elements such as cerium, molybdenum, lithium, lanthanum, strontium, gallium, rubidium, scandium, yttrium and niobium. 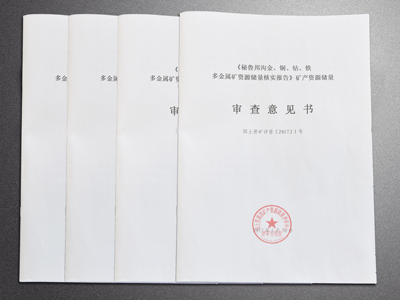 Conforming to the "One Belt One Road" cooperation initiative in our country, relying on the state interests capacity cooperation projects signed by the two countries of China and Peru, making full use of the relevant agreement policies between the two countries, it actively introduces domestic and foreign large-scale iron and steel and nonferrous metal smelting enterprises as strategic partners and adopts equity, debt financing and other ways to speed up the development of the gold, copper, cobalt and iron polymetallic deposit in Pongo, Peru to realize the conversion of resources, assets and capital. 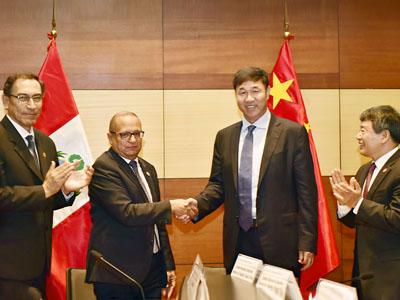 It will continue to explore the existing mineral rights and construct San Juan ore resources special port by allying with the Peruvian Iron Company in Shougang Group, Peruvian Marcona Copper Mine, China Railway Construction Co. Ltd. and China Civil Engineering Group, etc.. 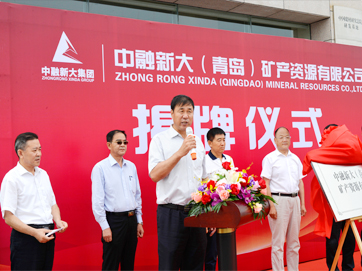 It will build a 100 million-ton grade overseas mineral resource base and become one of the global top suppliers of mineral resources to provide resources support for national economic construction.